The R&S®UPZ audio switcher is a multichannel switcher for audio channel inputs and outputs. Used with Rohde & Schwarz audio analyzers, it opens up further application fields. Surround applications in homes, multichannel mixing consoles in sound studio environments, multichannel amplifiers as well as the adaptation of several DUTs in production are just some examples of the wide variety of applications that are possible using the R&S®UPZ audio switcher. As an add-on unit to the R&S®UPV and R&S®UPP audio analyzers, the R&S®UPZ is directly operated from the graphical user interface. Remote control, e.g. in production environments, also runs via the audio analyzer. 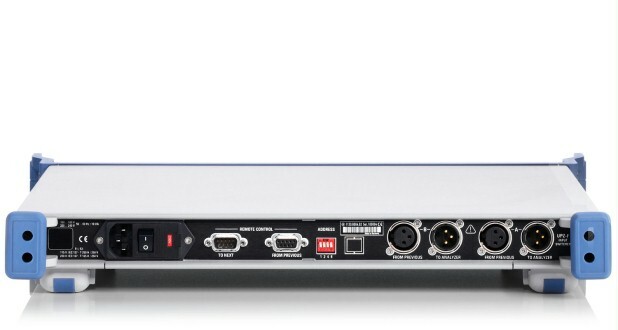 Users can also control the R&S®UPZ audio switcher directly from a PC via its RS-232-C or USB 2.0 interfaces. 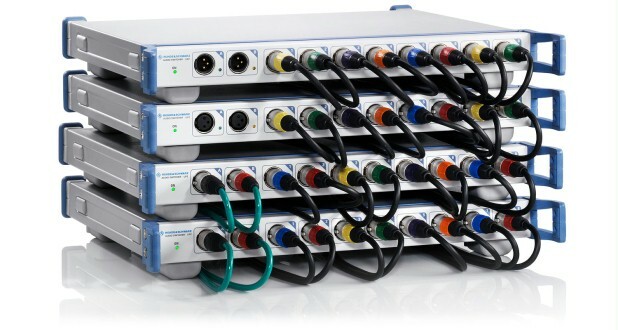 The R&S®UPZ audio switcher – like the R&S®UPV and R&S®UPP audio analyzers – comes with XLR connectors. Since there is a difference between male and female connectors in the XLR system, the R&S®UPZ is available both as an input and as an output model. Both models feature two switching channels, enabling users to simultaneously operate the two generator or measurement channels of the audio analyzer. 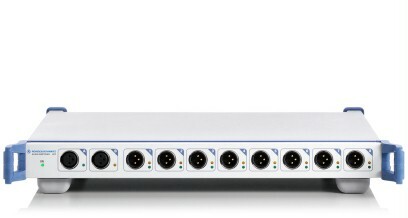 Up to 16 input switchers plus 16 output switchers can be cascaded, allowing up to 128 input or output channels to be switched. The standard application is paired or individual switching of the DUTs or measurement channels to be tested. In each case, one signal path is connected to an assigned channel. A special feature is measuring the crosstalk of the individual channels of multichannel amplifiers, which requires a particularly critical measurement. For this application, the signal coupled into a channel will be measured while all other amplifier channels are driven at the same time. The output switcher enables users to switch signal path B through to all channels in parallel, while signal path A can be switched to any selectable channel. 1) For max. relay life: max. 5 W or 0.2 A. 2)Between any two channels into 600 Ω.